Removes bad tastes and odours, (VOCs) Volatile Organic Compounds, chemicals including hydrogen sulfide. 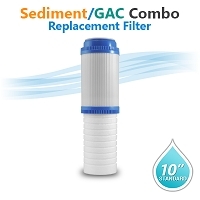 Usually used after a RO system to produce 99.99% pure water. 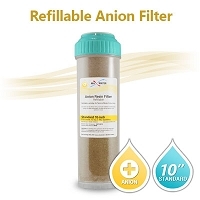 Use to remove calcium and magnesium, this material is good for mild water hardness, if you have moderate to severe hard water, we suggest getting a dedicated water softener. 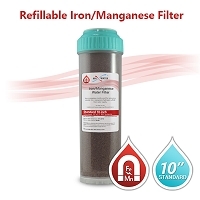 Used to remove tannin and nitrates. 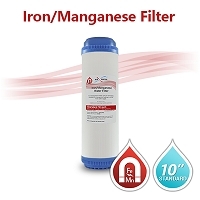 Removes dissolved iron, reducing rust stains in sinks, tubs, and toilets. 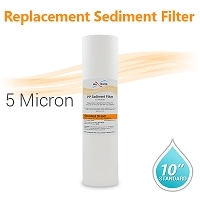 Prevents build up and removes scale from copper pipes, water heaters and appliances, improving their efficiency. 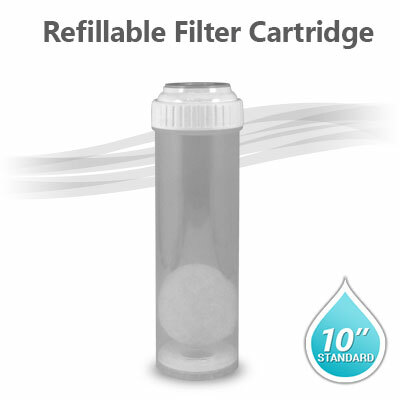 This refillable housing comes with a white cap.